The University of Wisconsin-Milwaukee’s Sheldon B. Lubar School of Business is a major metropolitan business school dedicated to academic excellence and committed to providing our students with a high quality educational experience. A dynamic curriculum linking academic knowledge to relevant business application is delivered by Lubar faculty recognized for excellence in teaching and research. Our prime location and strong connections to industry offer both undergraduate and graduate business students with unique access to the region’s commercial sector for both internship and employment opportunities. Applicants to UW—Milwaukee's MBA program must apply to the university's Graduate School, which refers b-school applications to the School of Business Administration for review and recommendation. The Graduate School Admissions Office makes all final admissions decisions. All applicants must submit a completed application form, an official GMAT scor...Applicants to UW—Milwaukee's MBA program must apply to the university's Graduate School, which refers b-school applications to the School of Business Administration for review and recommendation. The Graduate School Admissions Office makes all final admissions decisions. All applicants must submit a completed application form, an official GMAT score, one official copy of transcripts for all undergraduate work, and a personal statement. Students must achieve a minimum undergraduate GPA of 2.75 and have a GMAT score "that indicates a high probability of success in graduate school" to be considered for "admission in good standing." Applicants who fail to meet these minimum requirements may be granted "admission on probation" status. International students must meet all of the above requirements and must also submit an official TOEFL score report (the minimum required score is 550 on the paper test, 213 on the computer test, and 79 on the internet-based test) or an official IELTS score of 6.5. While most MBA students are employed full-time, UWM provides students at the Lubar School of Business with an array of programs and services to assist in job placement after graduation. There are career fairs, a resume referral service program that helps match students with the appropriate employers, a confidential alumni database placement service for employers to locate prospective candidates, on-campus recruiting services, and internships. Advisors are also available for mock interview sessions; job postings; help with resume design, cover letter writing, and interviewing; as well as scheduling on-campus interviews online via the e-Recruiting system. Recent top employers of Lubar graduates include US Bank, Kohler Company, Rockwell Automation, and Aurora Health Care. Other recent employers include Ernst & Young, Miller Brewing Company, Stark Investments, Cobalt Corp., and Wells Fargo. However, students did note the school’s need of “getting more companies to recruit” on their list of improvements. The University of Wisconsin – Milwaukee Sheldon B. Lubar School of Business offers graduate students a “variety of classes” in a “convenient location.” Students have “vari­ety and flexibility” in choosing a part-time or full-time program. The MBA degree can be completed at the main campus in Milwaukee. 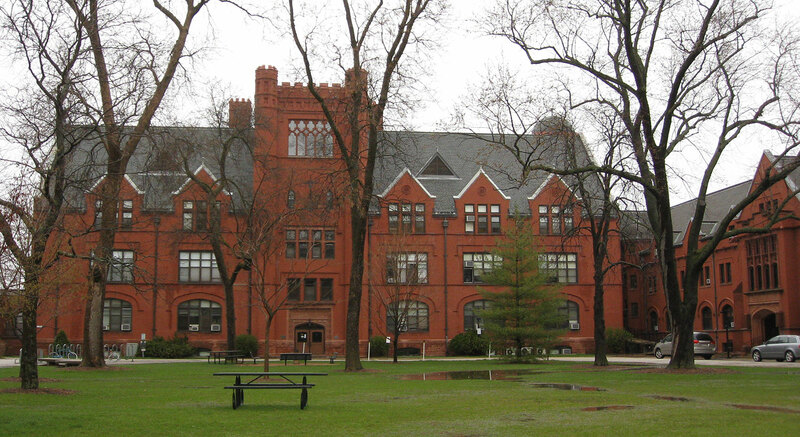 The Lubar School’s campus is located on Milwaukee’s lovely east side, a few blocks from Lake Michigan. Classes generally take place in the evening, with the exception of a few courses scheduled on Saturdays or in a hybrid online format. Students in the Executive MBA program will meet over a 17­month period on alternating Fridays and Saturdays for a series of five 10-week sessions. The graduate programs at Lubar do “an excellent job to prepare the business leaders and managers of tomorrow.” Besides the core courses in management, students may also pursue an elective in cost management and ERP, e-business, entrepreneurship, financial strategy, global strategy, HR management, IT management, innovation management, investment management, leadership, manufacturing and service operations, managing change, health care management, supply chain management, marketing, or nonprofit management. The programs on the whole offer concrete “academic challenges.” There is also a “good business community in Milwaukee” that students are able to take advan­tage of both during the program and after graduation. Faculty at UWM consists of “strong professors with a business aptitude.” They “do a great job in lecture explaining the material.” One student comments about undergradu­ate teachers at a different university who “were intelligent about the subject matter, but could not teach at all.” However, this same student avows, “The teachers at UW-Milwaukee really know how to teach.” Having professors with direct experience of the business topics that they teach is deemed important to many students. “Most of the pro­fessors have been in the business world so they are able to provide practical examples during discussions.” It was also noted that there are “some exceptional professors, ded­icated to student learning and outcomes.” When asked about their school, UWM students “have nothing but good things to say about the administration, professors and [their] overall experience.” Of course, there is always room for improvement. There were some suggestions regarding class offerings such as the addition of “online classes.” Another student would like to see “more school spirit” on campus, especially at sporting events where it seems to be lacking. Master of Business Administration (MBA)- 2-7 years; Executive MBA (EMBA)- 17 months; Master of Science in Management (MS) - 2-7 years. James Ziemer - President &CEO, Harley-Davidson Co.
Want more info about University of Wisconsin, Milwaukee, Lubar School of Business Part Time MBA? Get free advice from education experts and Noodle community members.